July | 2016 | NFL News, as it happens, when it happens. Your one stop shop. 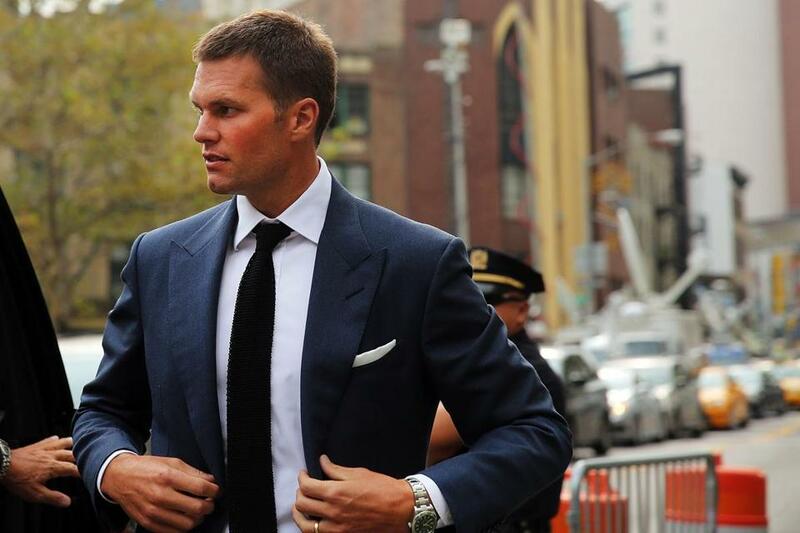 Tom Brady’s appeal of his “DeflateGate” suspension has been denied by the 2nd U.S. Circuit of Appeals, announced Tuesday morning. It is expected that Brady and his legal team will make one last appeal to the Supreme Court in hopes of having the suspension overturned, Brady’s last hope and chance of his suspension overturned and him being allowed to play the first four games of the regular season. I’m honestly shocked after hearing the news that the 2nd Circuit has denied Brady’s request of an appeal. The decision took longer than it was expected to make, which for me sounded like a good thing seeing as from what I’ve heard most 2nd Circuit appeal decisions are made quick and usually a denial. As shocked as I am about Brady’s appeal being completely denied; I am more surprised that the biggest joke scandal in the history of all sports is still going on and being talked about and that the league is still going after the best player who has ever played in it, someone who has never any wrong, who has played the game the right way, who has been a model citizen on and off the field who the only time you hear his name during the off-season is when he’s doing his Best Buddy charity events and this is the guy the NFL is still going after? Who cares about Greg Hardy beating the living hell out of his girlfriend who was suspended 10 games which was then later reduced to four, or Sheldon Richardson’s high speed police chase with loaded handguns, marijuana and a 12-year old boy in the car and was suspended for only ONE game. Hell Isaiah Crowell posted a cartoon image of an African American man slicing the throat of a cop on his Instagram page in wake of all that has been happening in the news recently and that has barely been talked about, but thats fine also in the eyes of the league. These are the real model citizens of the world right NFL? Goodell said Brady “ruined the integrity of the game” when first giving out the suspension over a year ago for having no proof that Brady or anyone else for that matter actually did anything wrong, these guys have helped ruin the integrity of the human race but I guess thats fine in the eyes of Roger Goodell and the NFL. The Patriots are set to start the regular season against the Arizona Cardinals on September 11th against the Arizona Cardinals. With Brady this would look to be one of the better games of the whole NFL season with both teams making deep playoff runs last season. Now Jimmy Garoppolo could be inline to start the regular season opener against a tough Cardinals defense as well as the teams next three games if Brady’s suspension is not overturned prior to the start of the season. Personally, I have never been a fan of Garoppolo and do not see what many others see and do not see him being the successor to the greatest quarterback of all-time in Tom Brady like many others inside and outside of the organization have. 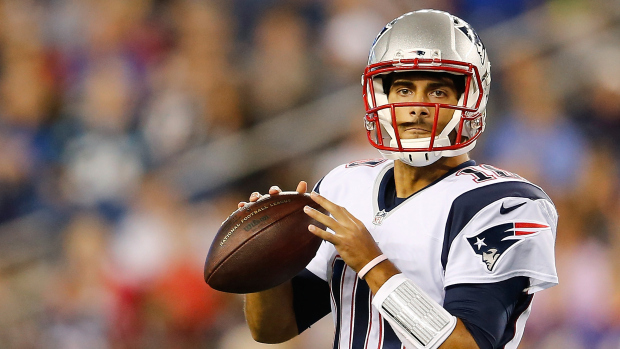 If Jimmy G does indeed end up playing the first four games of the regular season it will be interesting to see how he does as the teams starting quarterback and if he can either build up some trade value or prove to everyone that he can be a legit NFL starting quarterback and the guy for the Patriots down the road. As much as I would love for this BS joke of a scandal to be over with and end i want Brady to keep fighting and prove his innocence to the world. And one thing that the league should already know by now, Brady is not the guy you wanna piss off. he will come for you and he will dominate you. Teams should be more worried that Brady is suspended because if he is he is going to comeback with an unstoppable fury and continue to prove his greatness and dominate the league once again.